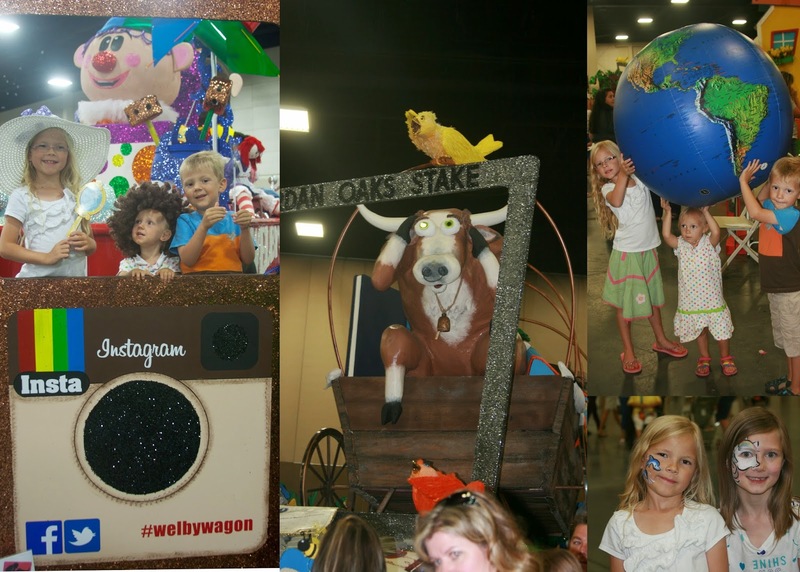 For the second year in a row I took the kids to the South Towne Expo Center to preview the Pioneer Day floats up close. Todd had a stake audit that evening so I was on my own. 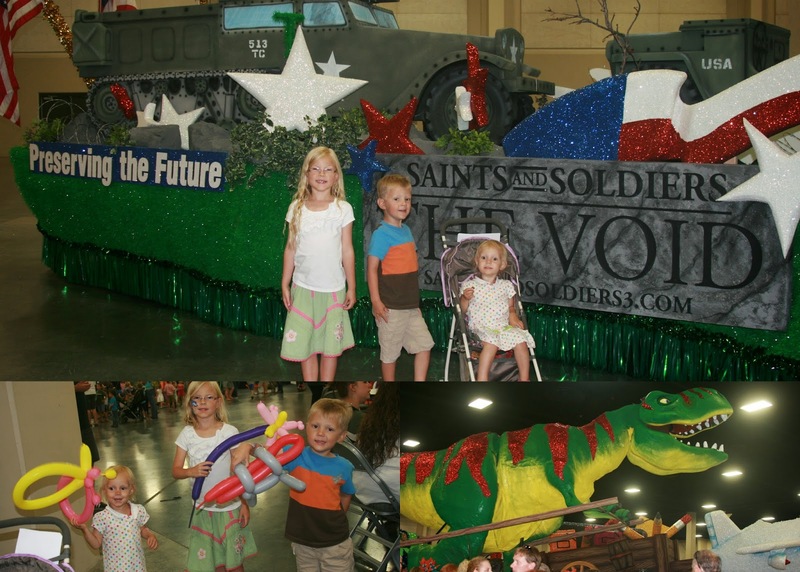 Carson's favorite float was the t-rex dinosaur float. It would open its mouth, look around and roar. The kids got their faces painted, got balloon animals and played games. While in line to get the kids faces painted, one of Emilia's class mates from last year saw us and stop by to say hello.